"Proactive and Reassuringly Efficient Clean"
Customer satisfaction is of the utmost importance and top priority to Soap Opera. We found the team to be most helpful during the process of arranging and providing an End of Tenancy clean at the property we were renting, and during this time Soap Opera were proactive and reassuringly efficient in working around our timescales to complete this work. The standard of work was excellent and we would have no hesitation in asking them to provide services to us should we need them in the future. "Perfect End of Tenancy Clean by The Soap Opera"
Before having new tenants move into a Flat I let, I had asked Iwona from the Soap Opera Cleaning Company to provide a quote. The quote was very competitive, and beat the other two I had received. I booked the clean for the exchange day, so timing was crucial, the house was immaculate following the clean, and the carpets looked as new, following a steam clean. Thank your cleaner for doing a lovely job. I am impressed and have recommended you to my parents as well as my brother! I look forward to you coming round again as it’s a relief to have it much cleaner. 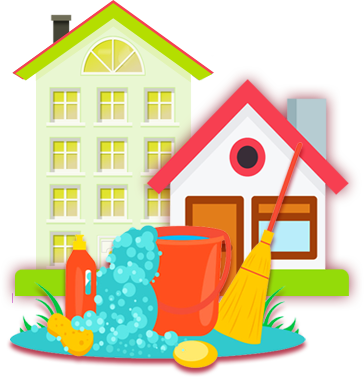 "Impressive End of Tenancy Clean"
First of all I wanted to say thanks again for a great job on the end-of-tenancy cleaning at our previous house. Everyone thought the place looked cleaner than when we moved in! In fact the landlord was so impressed he wants to get in touch with you about some cleaning for him.